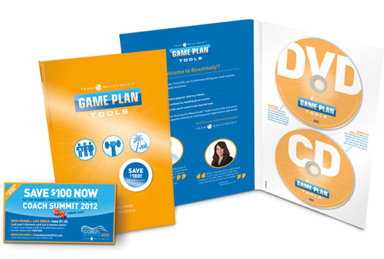 Are you ready to change your physical and financial life now? I want to introduce you to a revolutionary home-based business model powered by Beachbody, the creators of the nation’s most popular fitness and weight loss solutions including Hammer & Chisel, Body Beast, 22 Hard Corps, 21 Day FIX®, P90X®, INSANITY®, T25® and Shakeology. I invite you to learn about becoming a Team Beachbody Coach and seizing the opportunities that are available to individuals who want to help themselves and others. Beachbody, at last count, generates about 70,000 new customers per week. Beachbody then gives these customers away to qualified Team Beachbody Coaches. Team Beachbody coaches enjoy the greatest success! Team Beachbody Coaches have participated in increasing sales each year since 2007. Team Beachbody coach distributors, backed by dynamic online support and a dedicated fitness community, enjoyed the lifestyle and health benefits that over 1 billion in sales provided them in 2014. You don’t need to be experienced in exercise or nutrition. You don’t need to be a personal trainer or have prior experience running a business. The biggest reason our coaches are successful is because they are passionate about their personal health and fitness and helping other people get fit and meet their goals! How do Team Beachbody Coaches earn income? Beachbody coaches have multiple income streams to help them achieve greater financial security. Click the link below to learn about all the ways you make money with Team Beachbody. As a Beachbody Coach, you also get a 25% discount on most items you personally buy! Beachbody spends millions of dollars every week advertising their home fitness programs on major TV stations and cable networks. At last count, this massive marketing program generates up to 70,000 new customers per week! Beachbody gives these customers to qualified Team Beachbody Coaches, who can earn up to a 25% commission on every purchase these customers make going forward, for life. Never worry about inventory, shipping, or even billing. Beachbody takes care of all of that for you. The exciting part of the business is yours to run at your own pace – Beachbody handles the routine chores. become a Beachbody Coach right now. This is your time. Contact me today, and we’ll get you enrolled. Or click the GET STARTED button to the left. The best way to become a Beachbody Coach is to purchase a Challenge Pack when you sign up. Why? When you purchase a Challenge Pack during sign up, the $39.95 Coaching fee is waived. This means you could become a coach, get the Shakeology flavor of your choice, and get the workout program of your choice for as little as $140. You also get free access to your Coach Online Office for 30 days. After 30 days, you’ll be automatically billed $15.95 per month to keep your access to all the Coach Online Office support materials. Should you decide Team Beachbody isn’t for you, you can cancel any time to avoid future charges. Beachbody does not guarantee any level of success or income from the Beachbody Coach Opportunity. Each Coach’s income depends on his or her own efforts, diligence and skill. See our Statement of Independent Coach Earnings located on the Coaches Corner on TeamBeachbody.com for the most recent information on our Coaches’ actual incomes. Presented by an Independent Team Beachbody Coach. Beachbody does not guarantee any level of success or income from the Team Beachbody Coach Opportunity. Each Coach's income depends on his or her own efforts, diligence, and skill. Results may vary. Exercise and proper diet are necessary to achieve and maintain weight loss and muscle definition. Consult your physician and follow all safety instructions before beginning any exercise program or using any supplement or meal replacement product. The testimonials featured may have used more than one Beachbody product or extended the program to achieve their results. The information on our websites is not intended to diagnose any medical condition or to replace the advice of a healthcare professional. If you experience any pain or difficulty with exercises or diet, stop and consult your healthcare provider.